The 1973 version of the Comprehensive Plan was updated and approved in 2005 with an amended Future Land Use Map in 2007. The Comprehensive Plan serves as the "official policy guide for community improvement and development." It serves as a guideline for desirable development combined with the preservation of important community features over the next ten to fifteen years. 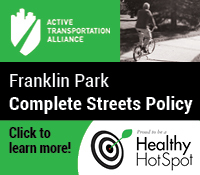 The Village of Franklin Park sought technical assistance from the Chicago Metropolitan Agency for Planning (CMAP) to help create the Franklin Park O’Hare Industrial Corridor Plan. The plan provides goals and recommendations within the three themes of land use and development, economic growth, and infrastructure. The final document was unanimously adopted by the Village Board of Trustees on November 24, 2014. Village staff continues to work with CMAP on implementation of the plan's goals and objectives. 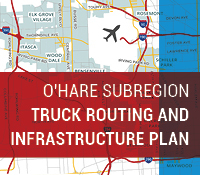 Click on the link below to view or download the Franklin Park O'Hare Industrial Corridor Plan. 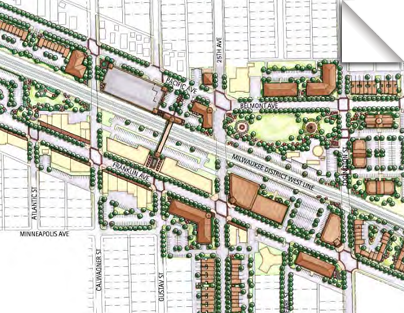 The Franklin Park Transit Oriented Development Study, commonly referred to as the TOD Study, was developed after several public forums throughout 2005 for residents to voice opinions, concerns and ideas. This input, coupled with the creativity and work of Village staff and three consulting firms resulted in an approved version in 2006. The TOD Study serves as a complementary document to the Comprehensive Plan. Where the Comprehensive Plan encompasses the entire Village, the TOD Study focuses on the downtown area, traffic, and transit through the multiple rail lines that service the area. The purpose of the study is to "foster improvements to the downtown area and the area served by the Metra station in order to attract and retain businesses, increase tax revenues to the Village, enhance transit access, and increase transit ridership." Key elements of the study include possible redevelopment sites, improving the functionality of the downtown area through parking, pedestrian and bike access and addressing rail ridership and facilities.